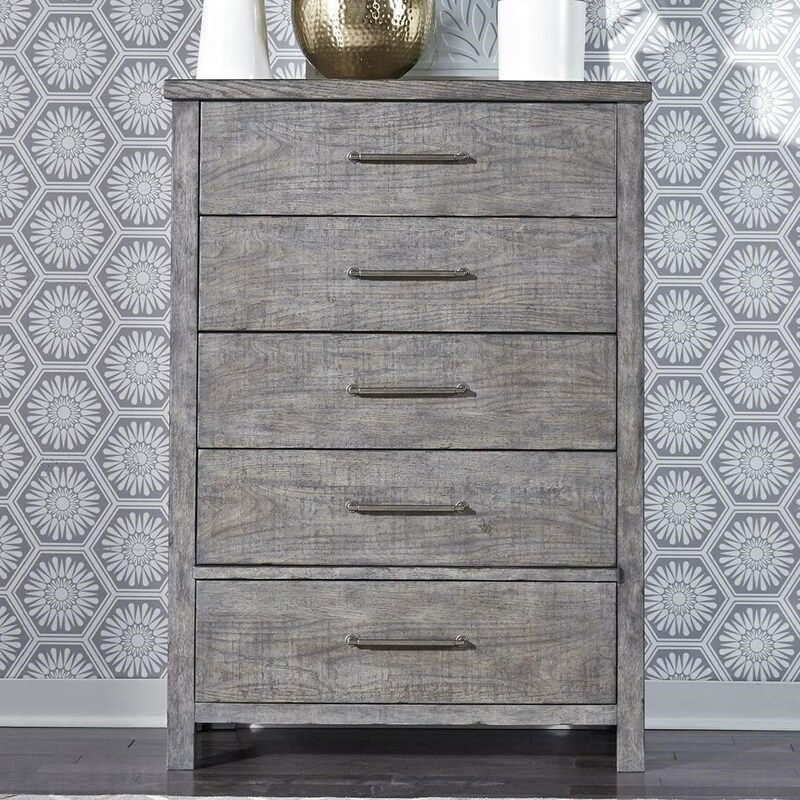 Enhance the storage space and style of your bedroom with this five drawer chest. The unique mix of contemporary and rustic styling seen in this piece is the perfect blend for the modern home. The Modern Farmhouse Contemporary 5-Drawer Chest with Felt Lined Top Drawer by Liberty Furniture at Great American Home Store in the Memphis, TN, Southaven, MS area. Product availability may vary. Contact us for the most current availability on this product.